Let’s talk about distilled artisanal drops that are predominantly derived from juniper berries as the main core ingredient. Not unlike with whiskey, the gin landscape down under has blossomed and bloomed over the last couple of years with a myriad of distilleries are mushrooming with new and at times exotic offerings entering the fold. More than one hundred and eighty gin expressions from sixty-six distilleries – with many of them only producing small quality batches - have been selected as contenders to be graced with accolades by the diligent committee behind the Australian Gin Awards, headed by Judith Kennedy who has been involved in the wine industry for well over two decades and who is the founder of the Australian Gin Distillers Association. None other than Tasmania’s Urgestein and whiskey legend and master distiller Bill Lark, whose daughter was present to proffer her own gin distillates, holds the position of Chairman of Judges Bill Lark and his approach being informed by the marriage of science, art and passion has informed the selection of judges based on their technical expertise. 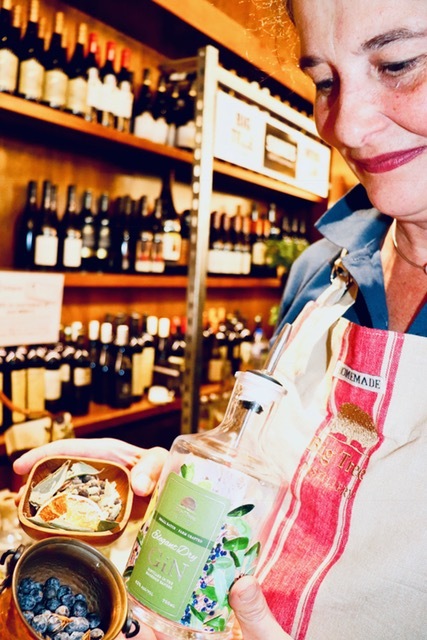 Animus Distillery, founded in 2015 and heading from Victoria, their 100% grain gin and vapour pressed botanicals result in a melange of exquisite flavours. Maron Bay’s Hellfire Bluff Distillery London Dry Gin won me over with the strong citrus component and underpinning nuances of coriander. Imperial Measures Distilling’s Ounce Gin is an exercise in harmony when it comes to a botanical tour de force, mixed with Victoria’s preservative free CAPI tonic it made for one delicious G&T. Apart from the gins themselves, it was nice to see that bottle design got its own category; i.e. the Bottle Design Awards with a committee headed by professional designers and industry luminaries. Masterclasses were held by local gin stalwarts Archie Rose and comprised an extended gin centric extravaganza that in terms of organisation and curation set a new standard that will hopefully help to establish it as an annual occurrence.